Autumn is a beautiful season, but all that foliage and wind means clogged gutters, which is why hiring a professional gutter cleaner in Narre Warren is the smart choice. Over the windier, rainier seasons, all kinds of debris can find its way into your gutter, including leaves, sticks, plastic bags, dirt and rubbish. When ignored, this debris leads to serious blockages, obstructing the water flow which eventually causes a range of issues. Blocked gutters can cause damage to the foundation of your house, destroy your landscaping, lead to flooding of your basement and shorten the lifespan of your roof, resulting in hefty repair expenses. Hiring LeafVac to professionally clean your gutters is the affordable, convenient solution. 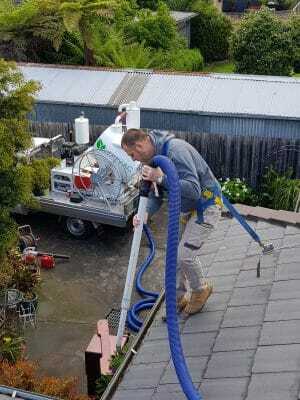 You no longer have to risk injuring yourself climbing on an unsafe ladder to a slippery roof, as our high-powered vacuum excavator is truck mounted for safe, effective cleaning of commercial and residential gutters.